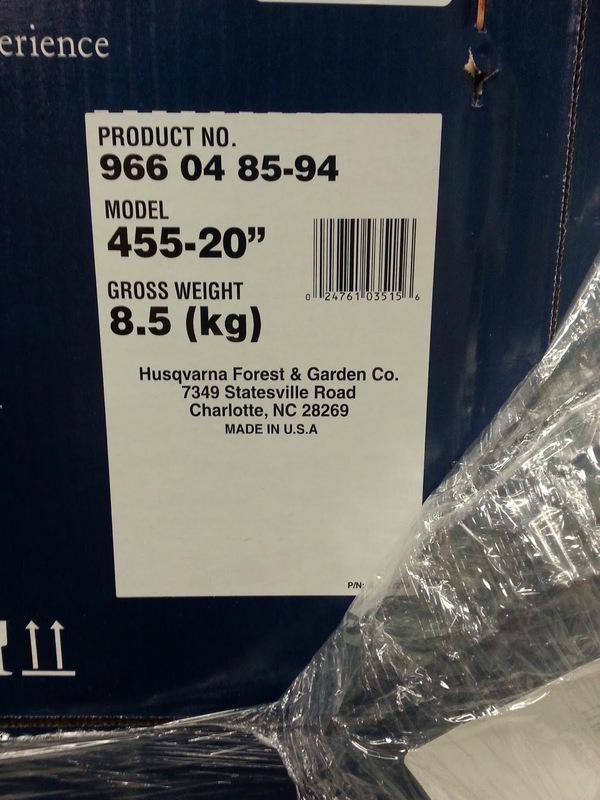 Daytona Outdoor Power is selling off some chainsaws on our HLSupply store. You can come in to pick 'em up, or have 'em delivered. 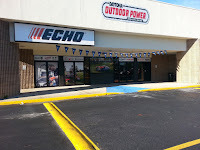 Daytona Outdoor Power's physical store (that we share) is at 331 Bill France Blvd., Daytona Beach, FL behind The Volusia Mall. We moved in together in September 2017 so that we could offer the Volusia County area a place to get outdoor power equipment, accessories, parts, service and repairs all under one roof. It's a big new showroom and I think you'd like it. Come in to see for yourself. So when they have a bargain on some equipment, we can sell it in our online store like this. This is a great opportunity for you. 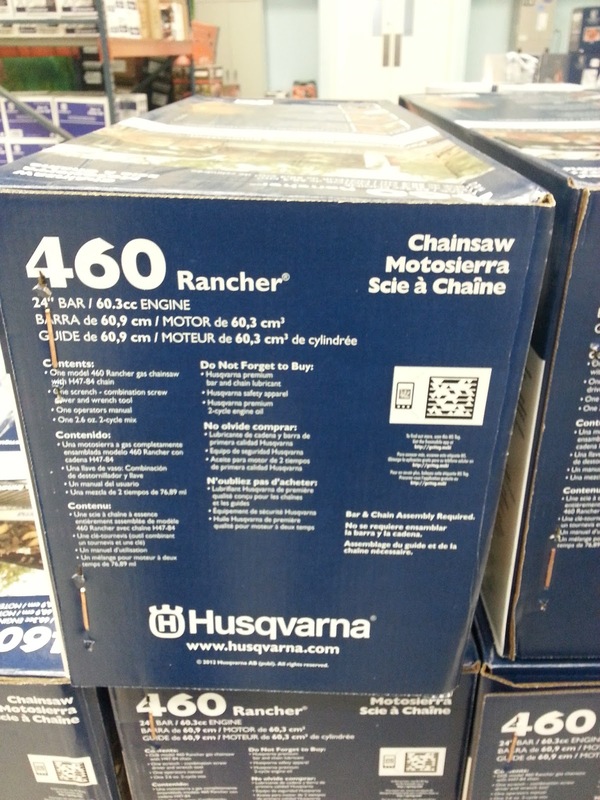 How Can We Put Chainsaws On Sale? You have to realize the importance of these discount chainsaws. 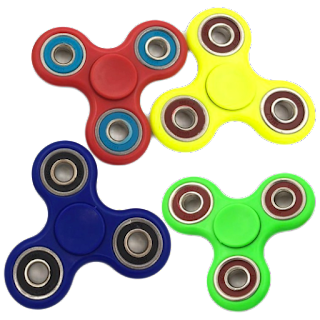 Prices are stipulated by the manufacturer and dealers can't sell them for less than Manufacturer's Suggested Retail Price. 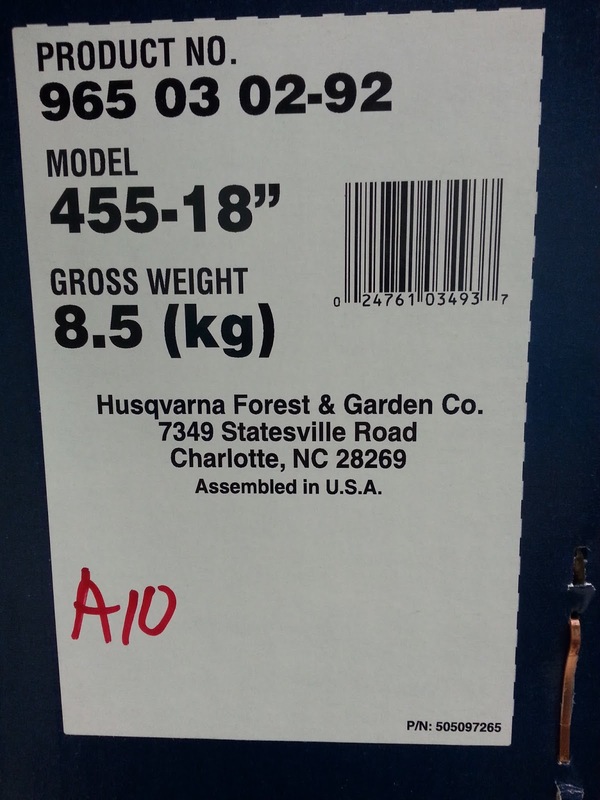 There was a large quantity of chainsaws from Husqvarna allocated for the hurricane and these are the extras. We picked them up for the sole purpose of sharing the lowered prices with y'all. Finding name brand chainsaws on sale is a rarity. Now that you've found some, what are you going to do? What Discount Chainsaws Do We Have? These are all great saws for medium to heavy duty usage. 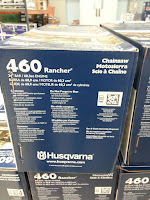 Pick one up at the rare discount Husqvarna chainsaw pricing we are offering. 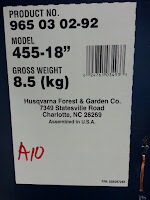 HLSupply is giving away a Husqvarna 550 XP Chainsaw! We've decided to give away another saw. 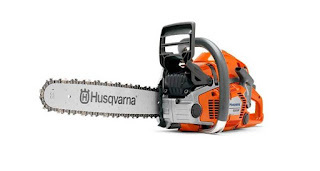 In fact, it's another Husqvarna 550XP pro chainsaw giveaway. Y'all liked it last time, so here we go again. The Husqvarna 550XP is a great, professional level chainsaw, and a popular one at that. You can read a lot about Husqvarna 550XP specs here. 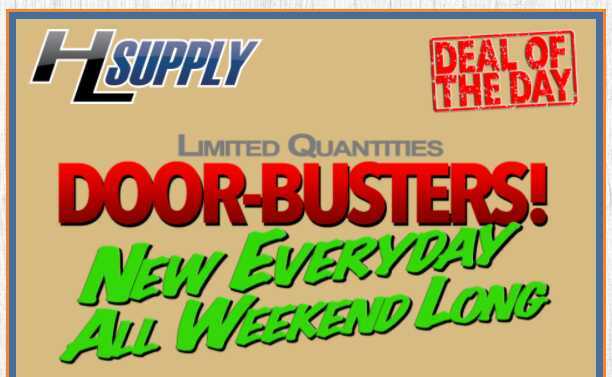 By the way, did you know that HLSupply opened a new store to sell actual whole Outdoor Power Equipment? 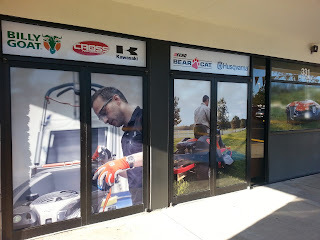 Daytona Outdoor Power store is at 331 Bill France Blv., Daytona Beach, FL (behind the Volusia Mall) where we sell a lot of brands of equipment on the vast showroom floor, and online at opesupply.com too. Click here for a link to the 2017 lineup of professional Husqvarna chainsaws. We can't sell the pro saws online though. 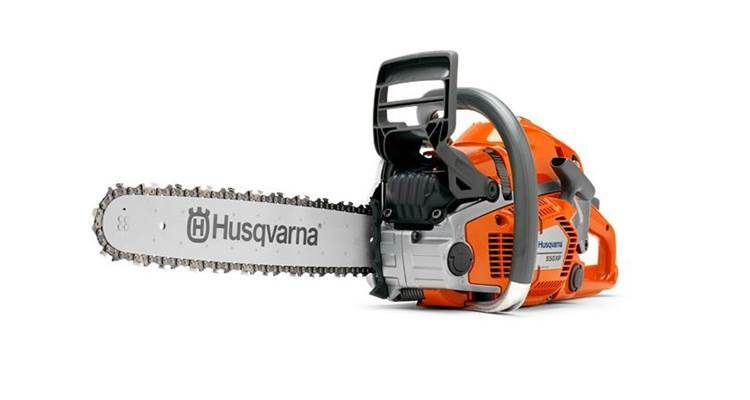 Husqvarna will permit us to sell the casual use chainsaws online for homeowners and such. Tune into our Black Friday and Cyber Monday page every day to see the new batch of stuff on sale. 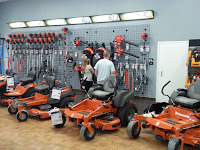 In our new store (Daytona Outdoor Power), we have chainsaws and other equipment and supplies on sale. Got questions? call 386-256-4891 and ask. Until next time, HAPPY SHOPPING! Nothin' against Ormond Beach, but we high tailed it outa there fast back in the first week of October. Been really busy with all the new tools and equipment coming into the new store's sales floor so have to apologize for the lateness of this post. You can now come into our store to visit us. It's a remarkable change. We held our Opening Party at lunch on Nov. 2nd, and the Volusia Chamber of Commerce did a ribbon cutting ceremony at brunch on Nov. 8th. DAYTONA BEACH, FL October 26 — HLSupply, LLC, an outdoor power equipment parts provider dedicated to stocking a vast range of spare parts for repairs and customizations to tools and equipment, this week announced the opening of Daytona Outdoor Power, Inc, a full line dealership for premium equipment, accessories and safety products. Daytona Outdoor Power's new store behind the Volusia Mall in Daytona Beach, Florida offers several name brands to help professional outdoor workers and homeowners alike to improve the quality of their work tools and the look of their finished projects. 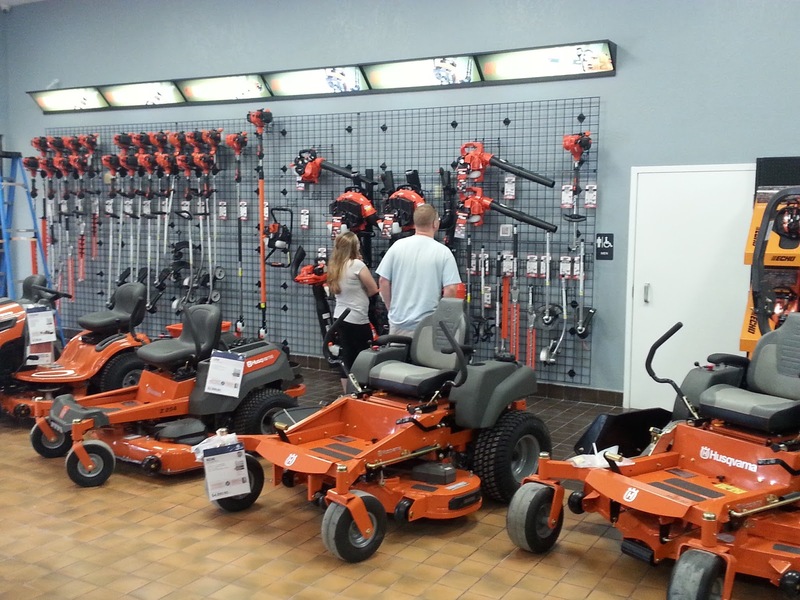 “As a busy, large provider of a vast amount of aftermarket parts for so many outdoor tool brands, HLSupply was asked by customers repeatedly for OEM parts, whole equipment, and for repairs to be performed," said Chris Zalich, Sales Manager at HLSupply. "The logical next step in HLSupply's growth was to give the customers what they asked for. We decided to set it up under a new company name with a substantial financial investment in inventory, and a move from our 4500 square foot warehouse in Ormond Beach, FL to a facility that is four times the size and more conducive to meeting customers and demonstrating equipment in a storefront environment. Now with all of this space, that includes equipment inventory and warehousing of more parts, along with a fully tooled and equipped service bay for equipment repairs and maintenance, we're ready to provide equipment, parts and mechanical service to property owners and commercial users. 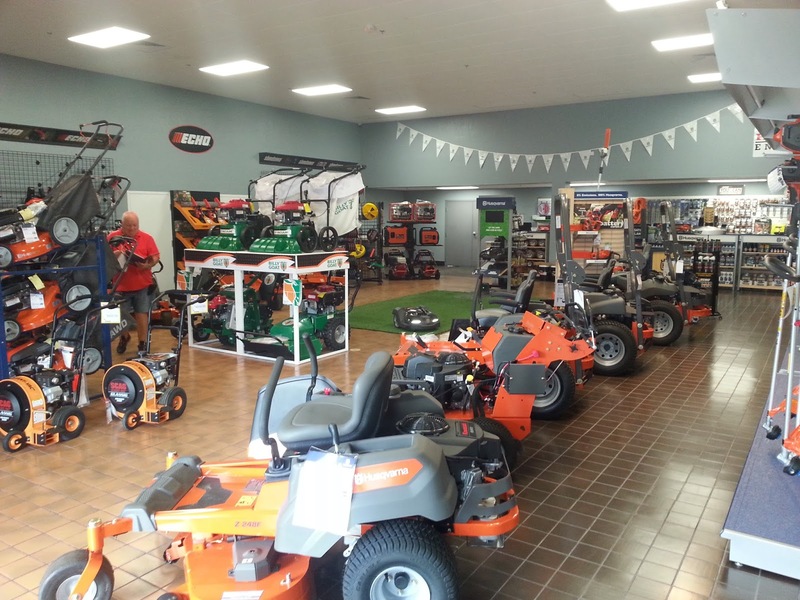 We have been designated as the area's servicing dealership of Husqvarna, Honda, Makita, Echo, Shindaiwa, Bearcat, PoulanPro, Billy Goat, Kohler and Kawasaki Engines and Briggs & Stratton Engines." In 2017, HLSupply sought to resolve the issues their customers encountered during parts installation and equipment acquisition by addressing the common requests expressed after the equipment being used in the field had broken down. Customers need affordable, top quality, name brand, new equipment, or they need parts installed for their old equipment. Under the new name of Daytona Outdoor Power, all of that and more is now available. The Daytona Outdoor Power store sells superior name brand outdoor power equipment and OEM parts online and in their new brick and mortar store. They are the area's servicing dealership for the likes of Husqvarna Equipment, Honda Equipment, Echo, Shindaiwa, Bearcat, PoulanPro, Makita, Billy Goat, Briggs and Stratton, Kawasaki Engines, Kohler Engines to name a few. SOURCE Daytona Outdoor Power, Inc. If you follow HLSupply, you know that we care about your success. On occasion we have contributed to the community with marketing help. We really want you to get your sales booming. We've made some blog posts, and we've posted on forums; we've written a brief ebook; and now we have even created a business directory site for you to take advantage of. Spring is almost over and all over the country, people are finding out that they need yard help, or tree help. How are they going to find out about you? 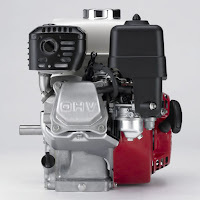 Our tips and how-to's aren't only for those who work with gas engine power equipment. Repair shops can use it too. Lots of businesses that work daily with outdoor power equipment, are finding out daily that their bevy of tools isn't working up to snuff. How are they going to find your shop? In your area, there are probably a lot of places to buy gas powered tools. Want to stand out? If people are going to buy from you, they have to find you wherever it is they are looking. You have to get on the map. A great way for businesses to advertise and promote is by adding themselves on business directories around the Web. Note: It is important to use the search engines to find your business listings on various services and maintain them over the years for changes. In fact, searching for your own business might turn up some listings that you didn't know you had. These occur when services add you to their directory without your knowledge either by automation, or by a customer doing it. Business directories have listings about companies and individuals in all lines of work. Maperoo is a business directory, on the other hand, that is specific to those like you who work with outdoor power equipment. 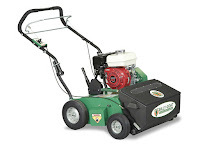 Are you working with outdoor power equipment in any fashion? There is a special business directory just for you. Post your business listing on Maperoo for free, or sponsor the site with an ad of your own. There will even be a paid listing upgrade to consider that will give you more boasting power. There is a lot to know about "getting the word out" about your small business. There is a lot to read on the subject if you spend some time with search engines to find it. Free marketing, advertising and sales tips abound. We're happy that you come to us for such help, and we are glad to help. Your success would make HLSupply proud. Stay with it, and keep pluggin. It's a good li'l motor and its carburetor chamber has a coating and carburetor filter to help protect against fuel impurities. Nonetheless, if you have any of that equipment with this engine in it, you may eventually be shopping for a replacement carburetor, for a Honda GX160 is not infallible. 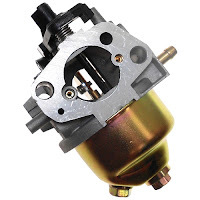 The carb is a common fail point in any engine and this is no exception. With so many of 'em out there, you're bound to see one in your repair shop soon or later. 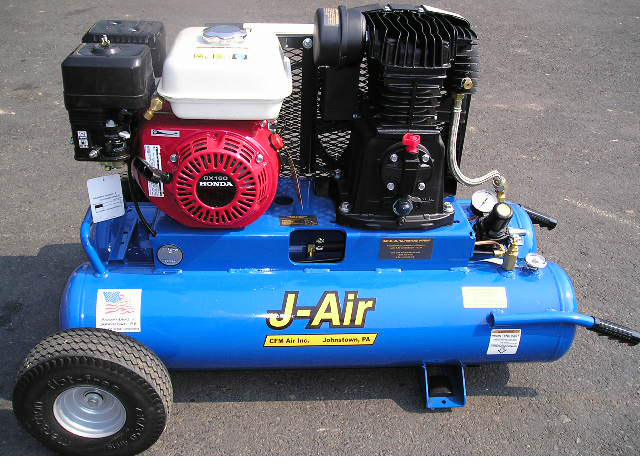 Your small engine repair business should keep some in stock. Someone will be coming into your shop for service or repair soon. How many in your city have a lawnmower, tiller, pressure washer, or a generator powered by a GX160? They're all over the place. Here is a quality aftermarket replacement carburetor for HONDA GX160, GX200, 5.5, 6.5 HP generator. It fits a Honda GX160, GX200 generator engine. Here is a HONDA GX160 5.5 HP carburetor. It fits a Honda GX160 5.5 hp engine and it includes the choke lever. Use this to replace OEM part number 16100-ZH8-W61. Oh, and we give you a 1 year warranty! At HLSupply, you can also find lots of other parts for this common power plant. 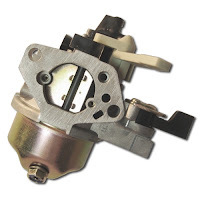 There are float and jet kits; bowl and gasket kits; carburetor gaskets; choke levers; assemblies, rods, springs, arms and shafts for the governor; throttle return springs and control assemblies; muffler gaskets; valve stem seals; valve cover gaskets; oil filler caps; filters; stop switches; and on and on. Need a piston kit? We have it. Camshaft? Yessir. Entire crank case engine block? Yep. We probably have all of the parts you need to build your own GX160! Hope this helps. That's what we're here for. Let us know how we are doing. A better, 54 millimeter bore cylinder for the Stihl 066 was 8 months in the making. We have Cross Performance Cylinders and Mastermind Worksaws to thank for this beast. Cross Performance got Randy Evans, a.k.a. Mastermind, to analyze a new oem top end kit for a Stihl 066. Certain that he could improve it, ol' Peg Legs put it on the lathe and stuff. With some port timing tweaks, better port shapes, and now boasting a bump in compression with better squish band design to increase squish velocity, the cylinder was sent back to Cross Performance. The beefed up MMWS Stihl 066 cylinder prototype went to Cross Performance for manufacturing and a mold was made out of it. Unfortunately, when a newly manufactured replacement Stihl 066 cylinder prototype was shipped back to Mastermind Worksaws, it was deemed that the exhaust port shape was not up to Randy's standards. Randy did some changes and sent it back to Cross for remanufacturing in due time. The next rendition was really good.....and the rest is history. A premium quality, Nikasil plated, MMWS, 54mm cylinder kit. 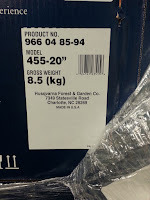 Look for "Cross Performance MMWS Stihl 066, MS660 cylinder kit 54mm" now for sale at HLSupply's Web site as part number CP30066 at the link in the description of this video. 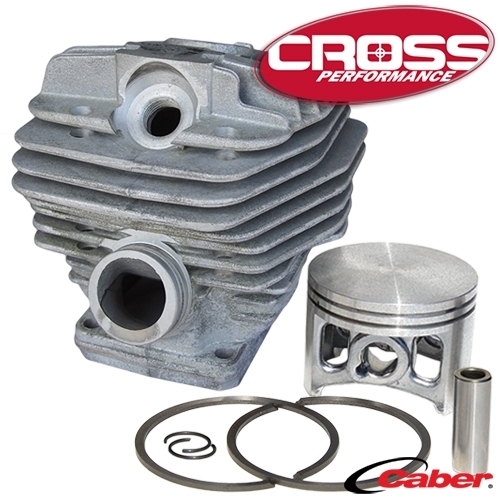 Your kit will likely ship to you within 24 hours, coming with high quality CABER brand piston rings from Italy. This is a performance replacement cylinder for Stihl 066, MS650, MS660 chainsaws. It replaces Stihl OEM part number 1122 020 1211.